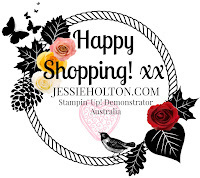 Welcome to our International Visual Blog Hop using current Stampin' Up!® Products. I'm very excited to be a part of this blog hop today! I hope you are enjoying yourself, hopping around & getting all the mojo from these wonderful creations everyone is posting! We have all created this gallery of projects for you to be inspired by! We would love it if you could visit every one of our blogs and see a close up of our projects. Our theme this month is LOVE because as card makers we love spreading the love. You can see the gallery below and this will be on every blog that you click on so you will never be lost. I've tried out a clean & simple (CAS) card for this hop today, not my forte as I prefer to over embellish but I'm trying new things & I hope you all enjoy it! 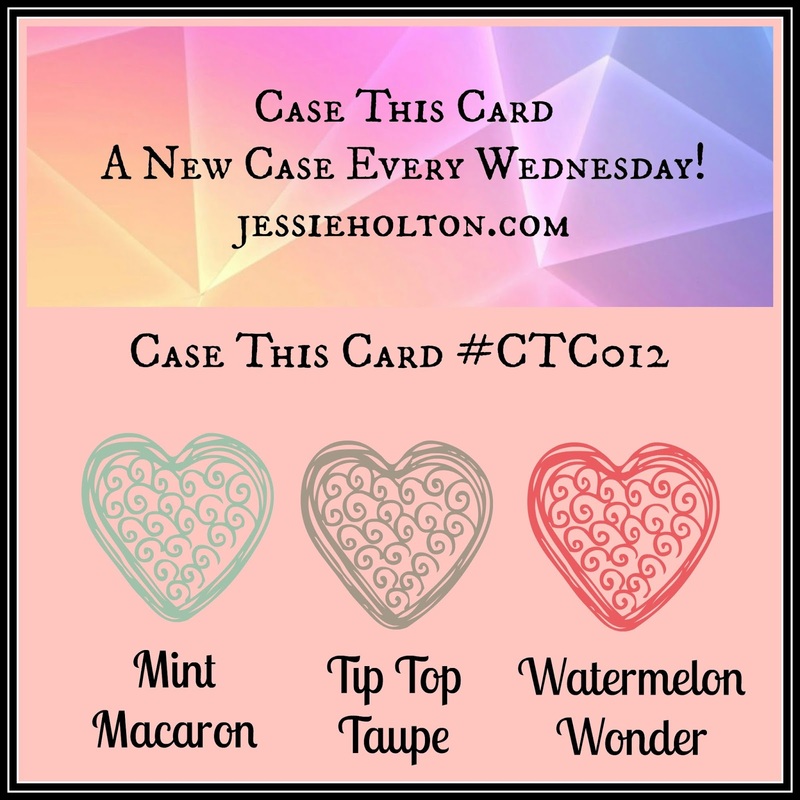 My colour scheme has come from the Case This Card Challenge which I started running recently. I would love for you all to enter it! 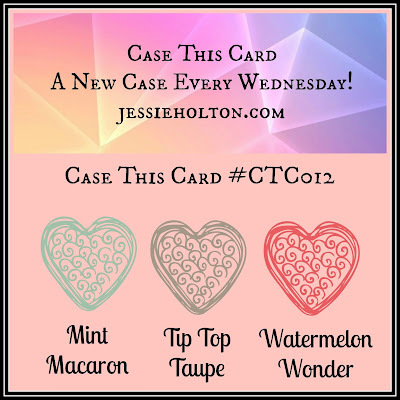 I have used a Watermelon Wonder cardstock base, stamped with Watermelon Wonder ink using the little light bulb from the Pun Intended stamp set from Stampin' Up! I have then added a piece of Mint Macaron cardstock with the sentiment (also from Pun Intended) in Tip Top Taupe, cut with the Classic Label Punch & set up on a Foam Strip with a little Copper Metallic Thread wound behind - this is a play on the lightbulbs. Lastly, I have added a couple of Clear Metallic Sequins. I have layered the inside with Tip Top Taupe & Whisper White cardstock, inked with Mint Macaron & Clear Heat Embossed (double stamping technique), using the lightbulb & another sentiment from the Pun Intended stamp set. I have also added some dots from the Watercolor Wings stamp set in Copper Heat Emboss to mimic the front of the card. Then I have sponged the corners with Watermelon Wonder before adhering the three layers together.